Now if you have an iPad and also an Instagram user, you would have find out that the tablet that you have in your hand is lacking the love from Instagram as most of the developers have created iPhone apps and even Mac desktop apps to view those beautiful photos but not the iPad. Fret not! There are… 2 apps in the Appstore which were made for the iPad. Bear in mind that with these apps, you can only view, browse, comment and like. No uploading of photos. First up we have INSTAMAP. 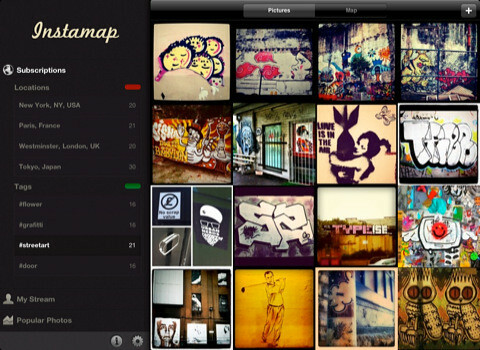 Instamap is a photography app for iPad that redefines browsing Instagram photos. 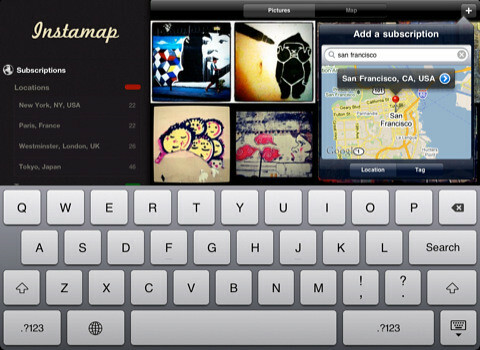 Unlike other similar apps, Instamap offers users the possibility of defining subscriptions. Furthermore, results are updated constantly, so that every new Instagram photo posted is added to the gallery in no time. 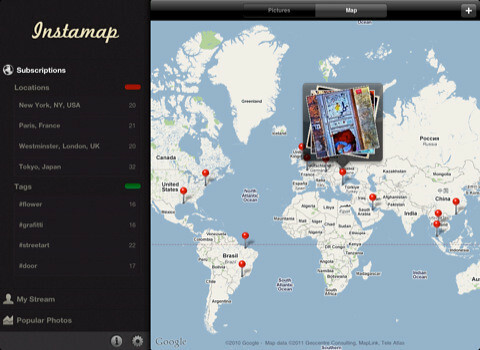 This app is great for viewing Instagram photos based on locations. So if you type in “Paris”, it will display all the photos snapped there. You can have a list of locations saved on the left panel for easy access. You can comment and like any photos you see in the app. Next up we have Instagallery. 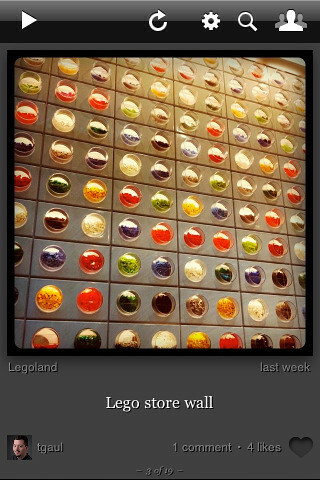 View a gallery of Instagram photos in comfort on your iPad, iPhone, or iPod touch. See some popular photos or sign in to to see photos from the people you follow, view your own photos, “like” photos, read and add comments, see what users your friends follow, etc. You can customize the look of the gallery and it has a slideshow feature too! • View Instagram photos taken by your friends. See an assortment of popular photos. Or look at all the photos you’ve posted. Photos are shown at full size, matted against a neutral background. 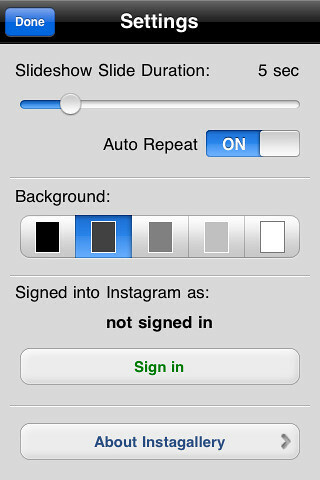 • Easily jump to photos by the same person, taken in the same location, or with a tag from the photo being viewed. Search for people you know to start following them. Find photos with tags that match your interests. • Enjoy a photo you see? Quickly “like” it and see who else has. Or send the photographer a comment expressing your opinion. • Show any set of photos as a slideshow. The slide display time can be adjusted to taste. Use auto-repeat to keep a running display when your iPad is docked at your desk. 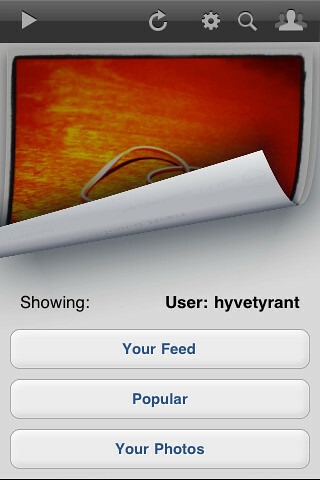 • Show or hide the labels at the bottom of the screen by tapping, allowing for a distraction-free viewing experience. • On iPad, double-tap or pinch to zoom the photo to fill the width of the screen (photos on iPhone are already displayed at nearly the full screen width, so that’s not available there).